The Lavender’s ear is assumed to protect from misfortunes, obsessions and breakdowns, and to propitiate prosperity and fertility. It creates a gentle and luminous aura by attracting favorable external energies. It has anti-inflammatory and soothing properties. It is an antiseptic for blotched, oily and impure skins. It decontracts muscles and is great for relaxing massages throughout the body or to massage the temples in case of stressful headaches as it loosens any nervous tension. Through the skin, the essential oil enters the bloodstream in a few minutes so it has to be diluted either in vegetable oil or in neutral creams. 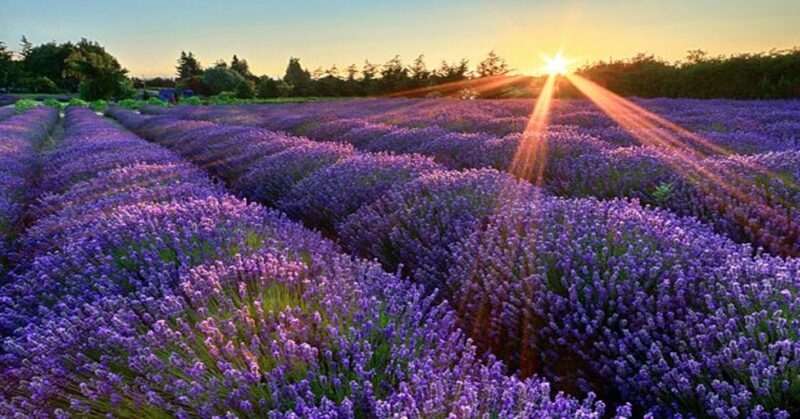 Lavender’s ESSENTIAL OIL is obtained by extraction through steam currents. The perfumes diffused in the environment are very useful because they quickly reach that part of the brain that processes emotions favoring the birth of positive thoughts and reassuring sensations. The Water of Lavender, thanks to its anti-inflammatory qualities, is ideal for all types of skins and it can be used as a tonic after cleansing the face and before the cream or before the make up to tone the skin. 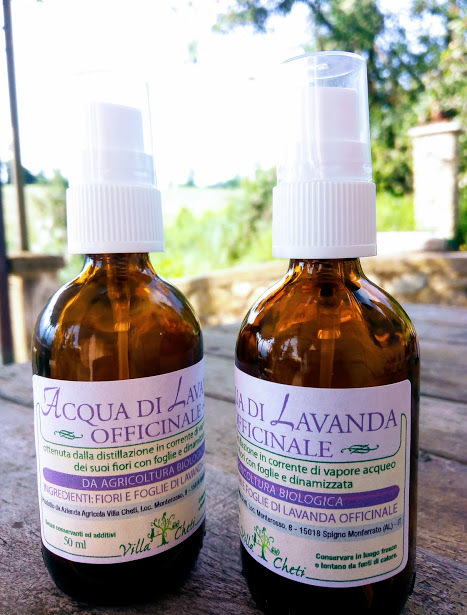 It is very effective to clean and disinfect the air in a room and if, in a public place, there are people coughing and sneezing it is a great idea to spray the Water of Lavender into the hands to discreetly kill the germs. Same thing if for example the pillow or a room that smell musty. Besides, it is also useful for our animals, when the cat scratches or has irritated skin just spray a small amount of this refreshing water in one hand and then pass it on your animal’s hair. Furthermore, the Lavender Water spread in the environment help your relaxation and it is useful to calm down both child and elder people. It is an excellent remedy to reduce headaches. You can use it to dip bandages to put on your forehead. It is anti-inflammatory and decongestant. This extraordinary parfumed water is able to reduce the unsightly signs of fatigue from a long day. If you use it in the morning, you will see your eyes bags considerably reduced. Its high content of Vitamin C is perfect for synthesizing collagen and protecting us from free radicals that cause aging. It is relaxing. It reduces stains, stretch marks and wrinkles. Besides, it prevents hair loss improving blood flow and strengthening hair follicles. Thanks to its vitamins B and E content, to its tannins and pectin, it is an ideal tonic to cleanse and tone the skin. The antibacterial and healing properties make rose water an essential ally for canker sores, skin ulcers and acne. 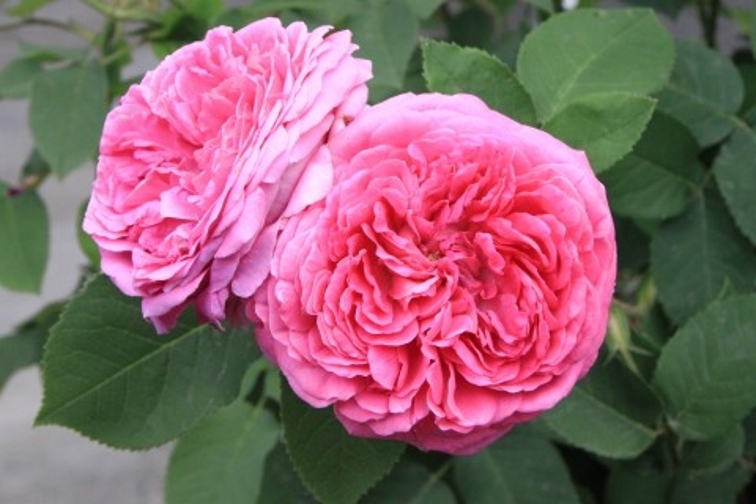 The aromatic rose water can also be used to perfume the air using an infrared diffuser for complete relaxation. It can be spread on clothes, underwear or bed as aphrodisiac!